Dreamweaver CS3 in easy steps eases you through the whole process of working with this exceptional Web authoring package, now produced by Adobe, that takes Web design to a whole new level. 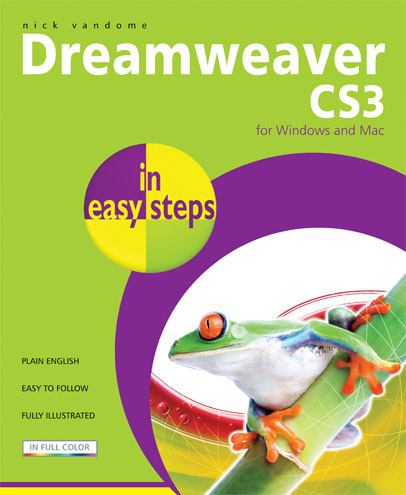 Dreamweaver CS3 in easy steps looks at the working environment of the program and the various tools and panels that are available. It then shows how to add and format content in both HTML and CSS, which is now an accepted standard in best practice web design. 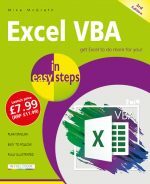 This includes adding text and images, creating hyperlinks, using editable library items and templates and also creating forms. Overall the book shows all Web designers how to turn their Web dreams into dynamic and media-rich online reality - with Dreamweaver CS3 in easy steps, the sky's the limit.